For friends wishing to deepen their knowing of what they truly are or looking to resolve issues which prevent them from clear seeing of their natural state. Zahir is now offering a limited number of private sessions. These can be conducted online via Skype or face-to-face at a time and place mutually convenient for both parties*. The benefit of working with Zahir on a personal basis is firstly access to Zahir, many find this access to Zahir and working closely with him allows them to identify the issue or issues holding them back from living from a place of ease and naturalness. Many find his unique and open approach allows them to resolve any issue in any aspect of their lives and as such Zahir has worked with many in such diverse areas as spirituality, academia, bereavement, relationship issues, change management and business. If you are travelling to Zahir then you will receive an email detailing how to get here as well as hotel details should you be staying over for a couple of days. Again please note a full day with Zahir is from 10am till 5pm with one hour for lunch (which is not included in session). Please be prompt as the session will start at 10am and finish at 5pm even if you are late. For groups of 2-5 people. You will receive an email from us confirming this booking as well as arranging a time for the group to meet with Zahir. You will then receive a further email detailing any transport or accommodation costs Zahir may incur in meeting you. If you are travelling to Zahir then you will receive an email detailing how to get here as well as hotel details should you be staying over for a couple of days. Again please note a full day with Zahir is 10am - 5pm with one hour for lunch (which is not included in session). Many have remarked that working with Zahir in this way has led to many personal and professional breakthroughs, this due to the fact that Zahir takes a holistic approach to any problem and as such you should expect to have ideas challenged and unconventional solutions proposed. All of which are designed to show you that your perceived ideas of who you are and your limits aren’t real. This enables as it allows you to live in a here and now state. Open to whatever happens and able to live from a solution focused state which many have found to be empowering. To get the best out of your session we suggest you get acquainted with Zahir’s work. A good starting point is to attend a meeting or retreat which will allow you to experience Zahir’s work first hand and many have benefited from this immensely. Zahir’s YouTube channel and other social media outlets offer further insight to his work, please subscribe to the various channels to be kept informed of new meetings and video releases. 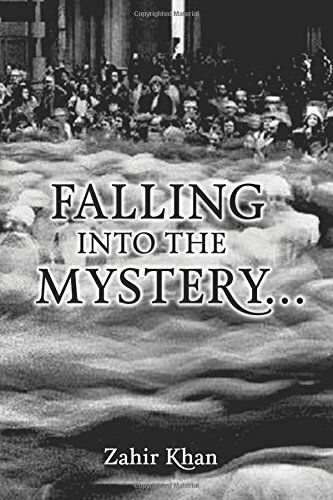 Zahir’s book Falling into the Mystery gives an overview into his work and the approach he takes and is available at this link. Cancelling less than 48 hours (working days) before session will mean no refund is possible.Cancelling more than 48 hours before session will mean a refund can be made minus an administration charge of £50. A private session with Zahir Khan is not a substitute for qualified medical, psychological or psychiatric diagnosis and treatment. Please seek professional help if that is what you need. Zahir Khan’s private sessions are spiritual rather than prescriptive or therapeutic. You are fully and solely responsible for the information you provide to Zahir and for your interpretation of Zahir's advice and guidance. Zahir does not guarantee or warrant any particular outcome or result from your session and makes no claims as to their effectiveness. The services are requested by your own choice and with your inherent singular responsibility.